It’s late one Sunday night. 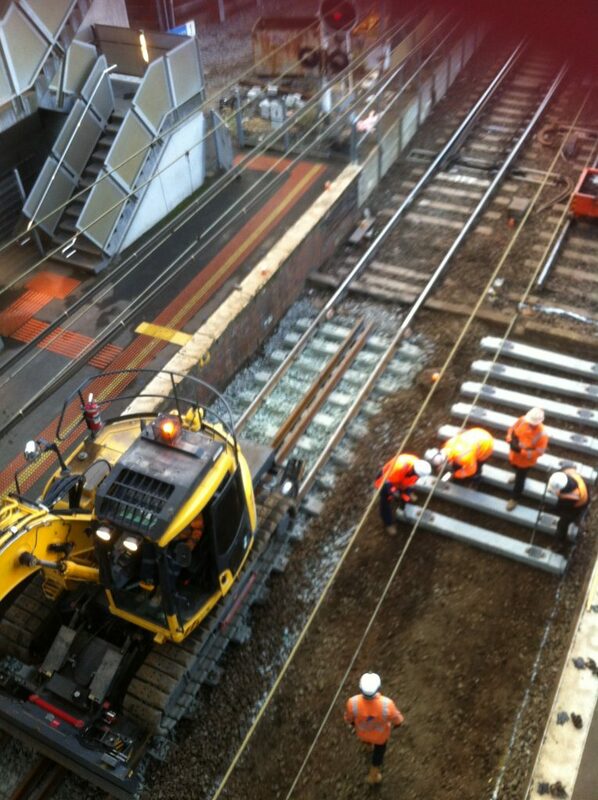 Workmen are replacing the wooden sleepers with concrete ones on the tracks at the Junction. Since the trains cannot run, I’ve been rostered on to put people onto buses. An Eminem concert, a Japanese festival and the Caravan and Camping show have combined to make the day very busy. But later as the night comes down and the lights turn everything softly golden and shadowy, the crowds clear and there is time to stop and watch the men working. The sight has a strange beauty. 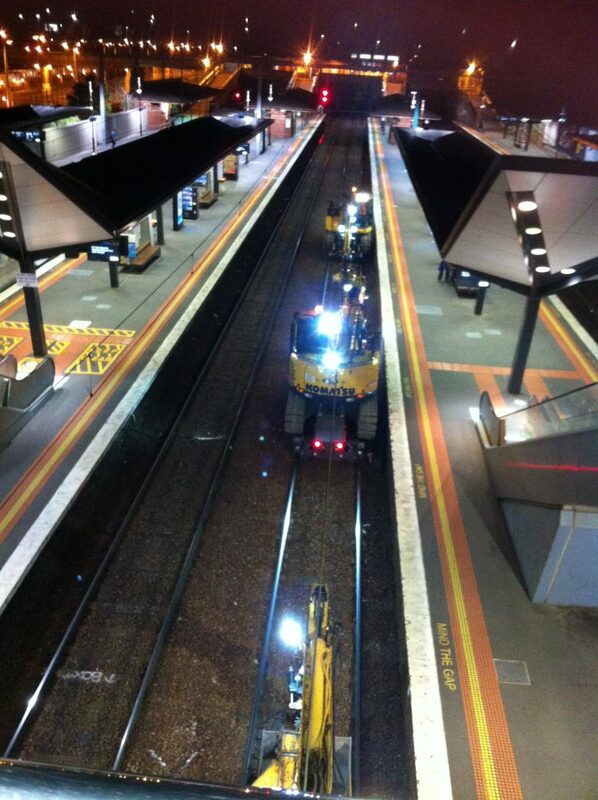 Machines advance and retreat, lifting rails or dropping or tamping ballast and their human attendants follow them with the elegant precision of a dance number. There are no whistles or yells, not even much talk, just the love roar of machinery and the rhythmic clanking of steel on stone. The men have done this a thousand times all over the system and everyone knows his job. One gang waits at ease while another moves in step tightening rivets with sledge hammers and special hooks. Here and there small groups huddle secretively over wielding rigs. Watching these big beefy guys falling in behind the huge machines reminds me of watching the infantry fall in behind the tanks in old war movies or the Guild of Navigators in David movie of Dune. By the time morning comes it will as if no one has been there except that the wooden sleepers have now turned as if by magic to concrete. And very probably none of the day commuters will even notice they’ve been there. I’m sorry to hear you had to work on a Sunday night – hope you were compensated for that. Fear not! Sunday nights are double time. And it was a lovely warm night to be outside!